There’s nothing like the experience and adventure of traveling in new places by motorcycle. This is especially true when riding where the road signs are strange, the language is different, and the flavors of exotic cuisine tempt and tickle the palate. I’ve been fortunate to travel and tour on my motorcycle to more than fifty countries on five continents. Because I never stop learning, with nearly every mile I’ve ridden I’ve discovered so many ways to make the experience better and more memorable. One way is to travel outside your comfort zone. It makes the experience so much more richly rewarding. Yet, whether such an adventure is to a new country or new state, remembering a number of important things will help you to prepare and pack. The most important preparations for long-term international motorcycle travel begin with your attitude and mindset. First of all pack your patience. This means managing your expectations and changing your perspective. For example, when you’re on your bike don’t expect other drivers and pedestrians to follow traffic signals and signs. Beyond being safe and defensive, look at these seemingly crazy moves as comical entertainment—fodder for stories you’ll tell family and friends later on. Second, service in restaurants and other places can be slow and seemingly inattentive. Be patient. Don’t expect the same level of service you receive at home, especially when you’re eating where the locals go. In most of these places, you’ll have to ask for the check—or the “bill” as it’s often referred to outside the United States. Enjoy the experience, savor the flavors, and watch the people. Instead of getting frustrated, you’ll find yourself indulging in a more memorable meal. Third, try to learn a few words or phrases of the local language. Don’t worry if you’re unable to get the pronunciation perfect. It’s the effort—trying—that the locals will appreciate. They will probably help you with both pronunciation and vocabulary. Sure, it’s easy to find someone who speaks English in most countries, but try to engage the locals with a simple hello and thank you in their mother tongue. A little bit of language prep goes a long way emotionally. Fourth, be sure to pack a pannier or tank-bag full of smiles. Your smile is the most powerful tool or weapon you can bring. It doesn’t weigh anything, it’s easy to use, and it’s free. You may be a foreigner in a strange land, and depending where you are, you might look quite different than the locals. So when walking down the street, stopping to fill up your tank, or ordering street food, approach everyone with a big smile. It’s the most disarming and pleasant gesture you can use—and it’s so simple. Fifth, try to plan to leave flexibility in your travel schedule. Riding motorcycles is much different than touring by bus, rental car, boat, or plane. Chances are you’ll attract attention and curiosity from other riders and travelers. People will want to know where you’re from, where you’ve been, and where you’re going. You may be invited to join others for a home-cooked meal, or even a place to stay or camp. Unless you’re traveling in a very touristy location in the high season, you probably don’t need to book accommodations in advance. Remember, the adventure starts when things stop going as planned. Be ready for it. Of course, all of this means you should prepare and practice being open. After all, isn’t that why we all ride? To feel the wind in our face, the outdoors, the temperature, to see the sights and take in the smells. We’re open when we ride. So we should practice being more open when we are off the bike, too: open to change, to new flavors of food, to taking chances, or even changing directions—open to new experiences. So while there are dozens of tips most anyone could share about what’s the best gear to pack for a motorcycle trip, such as the essentials, which brands of this or that are better than others, or even what not to bring, all of that is good advice. However, if you’re about to embark on a true motorcycle adventure—around the world or across the country—the best advice begins with packing your patience, a good attitude, a few words of the local language, and an openness to experience. I guarantee you will enjoy the ride! 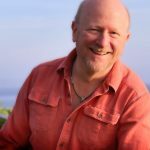 Allan is a committed adventurer who documented his three-year solo journey around-the-world on a motorcycle in the bestselling book, FORKS: A Quest for Culture, Cuisine, and Connection.